This outdoor light string features Gemmy’s elegant shooting star LightShow effect. Each light contains multi-colored LEDs that fall in a glittering cascade effect! A beautiful way to greet your holiday guests! 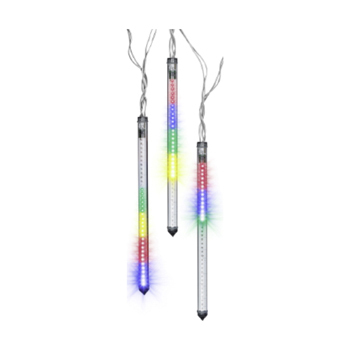 The string includes three tube lights, and each tube is twenty inches long and uses multi-colored, energy-efficient LEDs.